frame times. some games that make use of more than 6 threads experience frame time issues on a 6 core cpu like the 8600k. many/most games still favour the intel chippies. many also favour amd arch. ...so the 8 core /16 thread thing...or possibly the 9700k 8/8 is the way to go. imho. you'll find a bottleneck with the cpu with higher powered gpu's, or whatever depending on your grfx settings., res. etc. some games will favour higher ram speeds too, more than others. 9900ks are friggen hot. blablabla. 2cents. 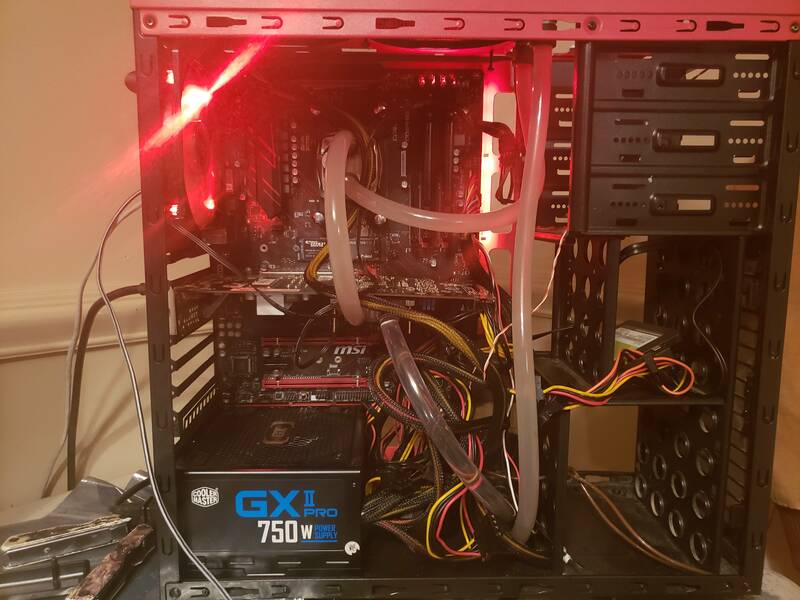 i have a 8600k but a low powered gpu, so the gpu is the bottleneck for me as far as i am aware. perhaps the cpu is still a problem for me ..i dont know. Last edited by adamsleath; 12-03-2018 at 06:12 PM. Ryzen will be a good pick in here + it's a bit cheaper than 8600k, the battle will be frames and usage. In my own opion, you can never go wrong in those 2, both do well it's just a matter of your video card, ram. But for me I'll go for the lower cost. But yeah it runs good. and I agree with Johnny that was a good Coolermaster and still is. it's not one of those old shotty ones. But not much going on looking for a few cool titles hadn't played, there's a handful of steam stuff that's not bad. Wait awhile we'll have some cooler stuff Soon.